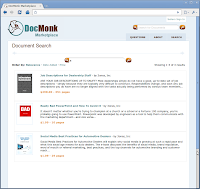 DocMonk Marketplace - Coming Very Soon! 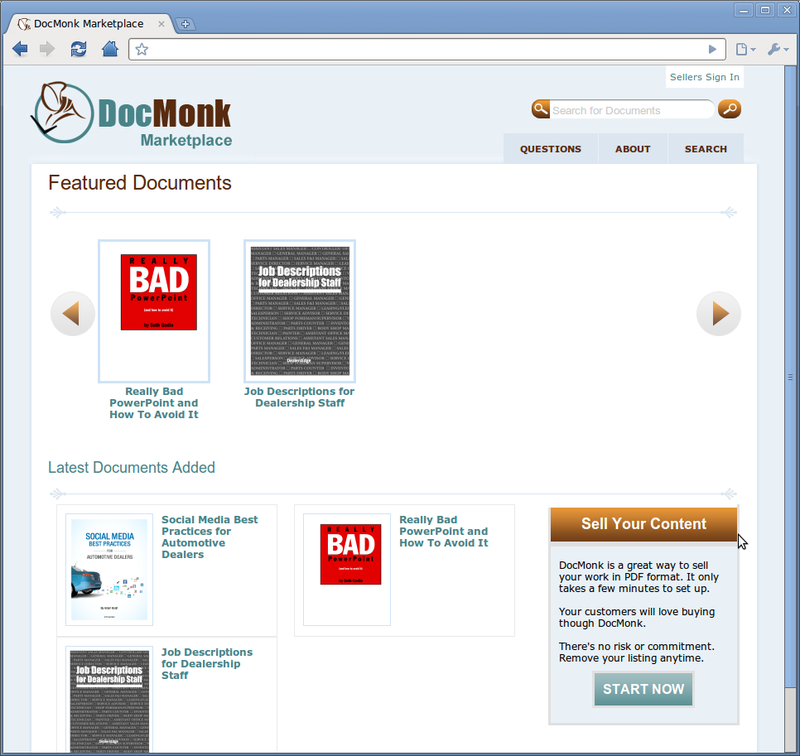 We're working hard and putting the finishing touches on a new DocMonk site that makes it easy and fun to sell PDF documents online. 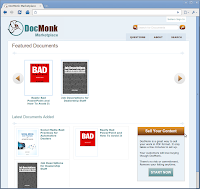 The DocMonk Marketplace is in it's final stages (sneek peek below). - Make it simple and easy for content holders to list PDF documents for sale. 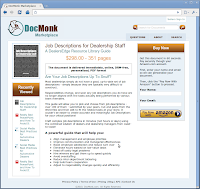 - Make document listings work great and be easy to find by both people and the all-important search engines. - Make the process of buying and receiving a personalized PDF document as quick and easy as possible. We're still several weeks from launch, but I just thought it was time to give you a heads up.